Two fellow travelers, Shawn and Shawn (referred to as simply, "The Shawns" double booked a couple of nights in a really nice hotel, complete with a hot tub. They had a small party after dinner one night and even their place with beer for everyone. 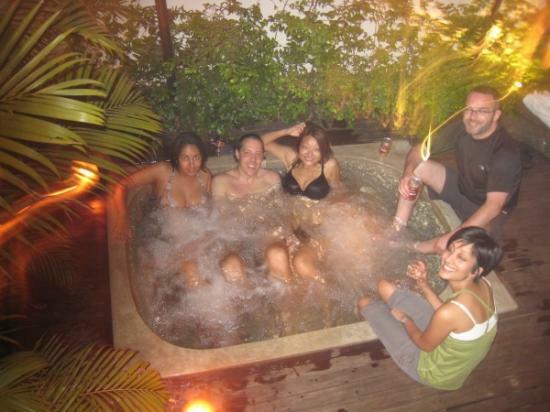 The hot tubbers (left to right): Tina (England), Mark, Terry, Shawn (US), And Namita (Canada).